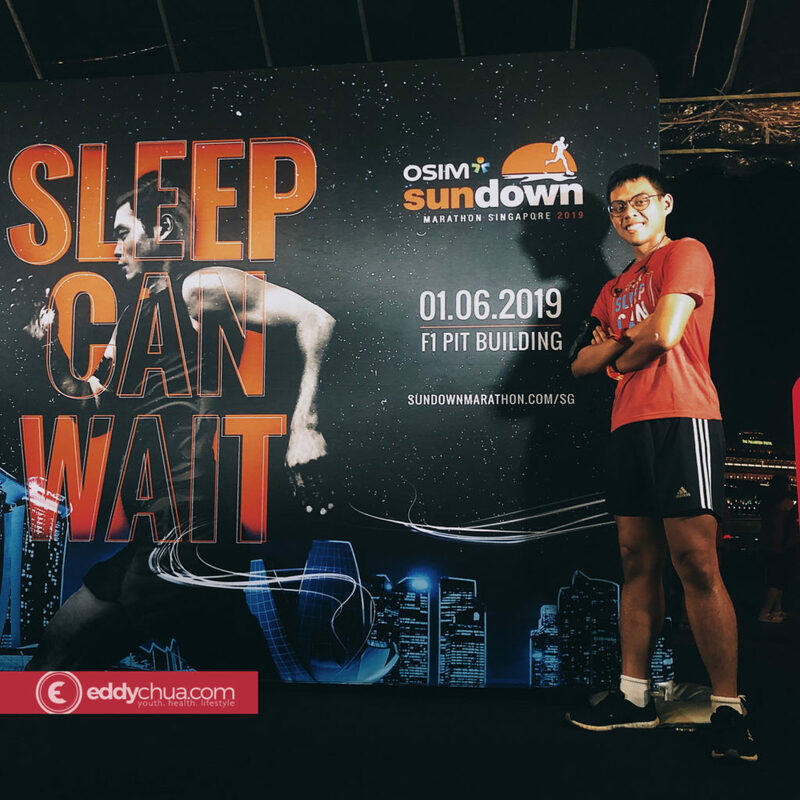 The Osim Sundown Marathon will return on 1 June next year, with Infinitus Production newly appointed as its event management partner. 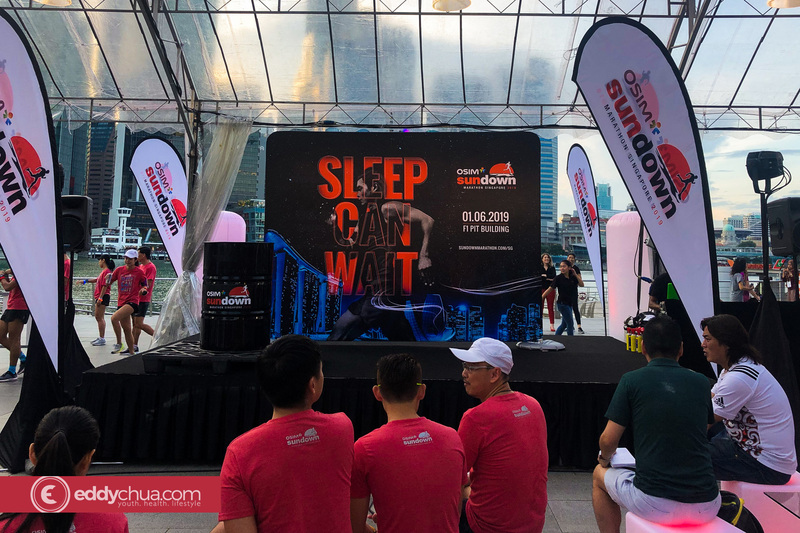 As per previous editions, the Sundown Marathon will include 4 categories: 5KM, 10KM (individual or team of 4), Half-Marathon and Full Marathon. 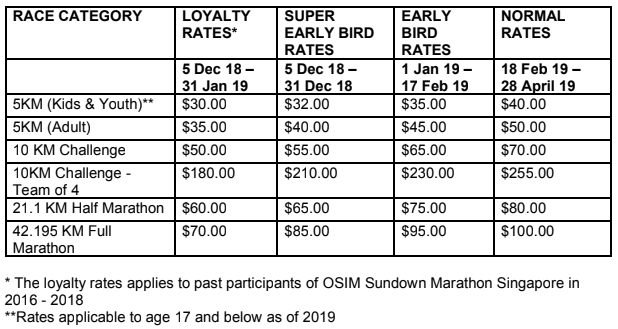 So days ago, when the organisers updated the Facebook page with a contest to reward loyal runners with race slots for the next edition of Sundown, I was thrilled. Although I didn’t expect myself to win anything because 3 years – in fact – was rather pale in comparison compared to those who’ve been taking part since their inaugural edition back in 2008. So when I received the news that I was one of the lucky winners, I was over the moon. We were invited to the launch event on 29 November at the Marina Bay Event Square. I was running late (no pun intended), so I rushed my way through The Shoppes@Marina Bay Sands, hoping that I’ll be able to reach in time. It was till later that I realised there were people still on their way here. It is kind of heartening to see how participants were so willing to rush down from work and school or whatever they were doing to grace the event. That’s why I love our running community here — the dedication is beyond question. 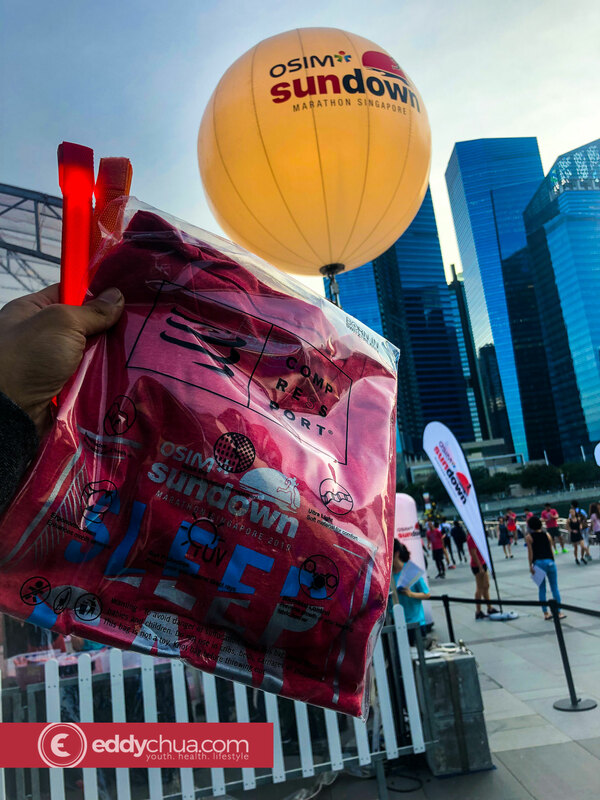 We were given a limited edition pink-coloured Sundown Marathon t-shirt and a pair of light bands — maybe so that we could light up the night during the run we had later on. It was not long before Max Phua, director of F4U, went on stage to address us. He spoke about how Sundown started out with about 6,000 participants in 2008 before growing into 25,800 this year. F4U acquired the rights of Sundown Marathon back in 2016 and has since brought the event to other Asian cities like Penang and Taipei. It was revealed that the organisers are eyeing an International Association of Athletics Federations (IAAF)’s certification, thus becoming the second event to do so after the Standard Chartered Singapore Marathon. 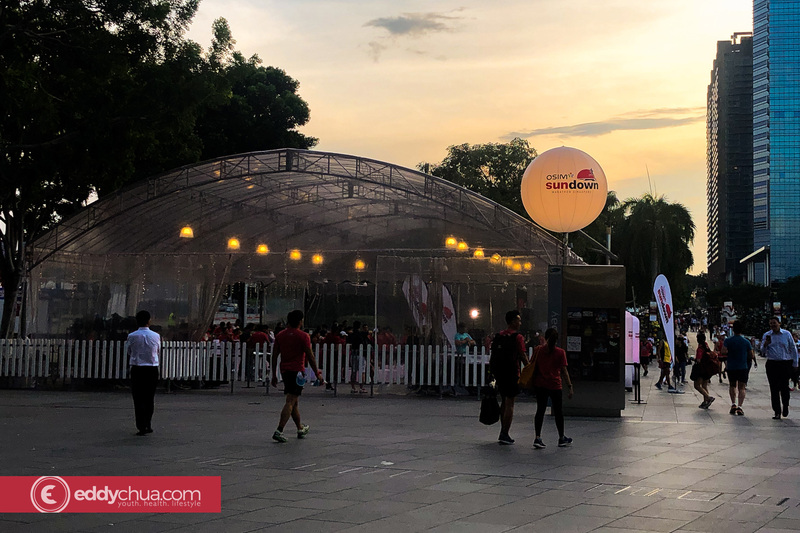 Furthermore, as part of the efforts of being inclusive, the organiser has partnered 3 main beneficiaries – ST School Pocket Money Fund, Singapore Disability Sport Council and Running Hour – and others via its ongoing Sundown with Love initiative. Under this initiative, the organiser will donate $1 from the registration fund to the adopted beneficiaries. Participants could also donate additional funds through the official event website. They even invited national para sailor Ng Xiu Zhen to the launch! 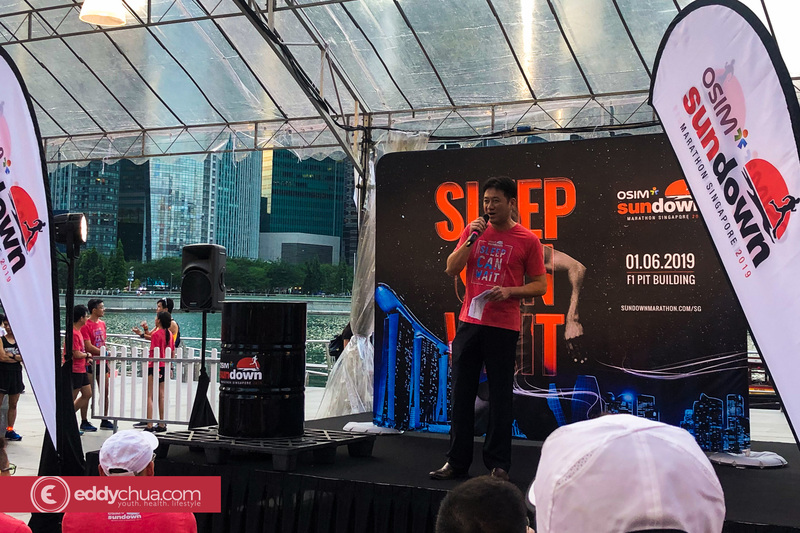 Speaking about Sundown with Love, I remembered running a donation drive under the initiative last year, as Fitspo People ran together for the second year. I couldn’t remember the amount we managed to collect and donated at the end of the day. I think I might be running a similar donation drive next year as I gear up for June 1. After the address, we were release for ‘the thing that we enjoyed most’. Pacers from Running Department brought us for a 4KM run around Marina Bay to mark the official launch. I think I’ve grown a bit too familiar with RD people that I could recognise them just by their faces. (Sorry guys, the names will take quite a while). I’ve been training with them since last month by taking part in the pacer runs as lead ups to the upcoming Singapore Marathon on 9 December and probably one last time this year tomorrow. It was a short yet scenic run. I’ve ran Marina Bay countless of times but this time, because we were running on a completely different direction, I finally be able to view the evening skyline from a brand new angle. Such wow factor really drives you to put in more efforts in the run. Because I need to rush off, I didn’t stay for the buffet and sharing session after the run. I merely took some photos and left. It was really a fun evening because you just feel so much different and refreshed running with a group of like-minded people.